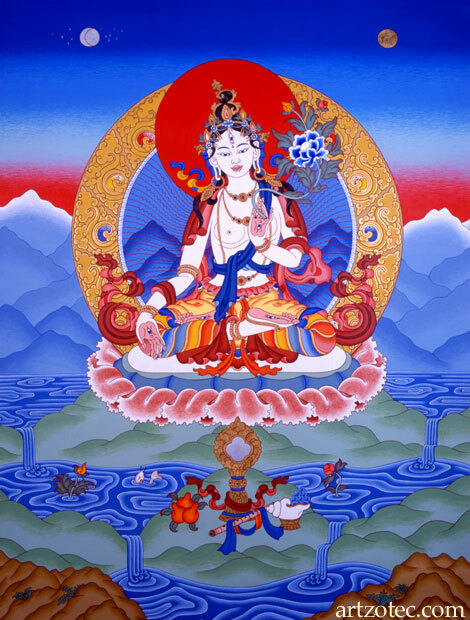 This goddess of compassion, who was born from the tears of Avalokiteshvara, grants long life, protection and liberation from fear. She embodies the purity and wisdom of enlightenment. Her seven eyes allow her to oversee every realm of existence with compassion and love.